Isn't is just so exciting to work in an industry where we are constantly seeing new competitors emerge, seemingly boundless innovation from enterprise clients pushing their capabilities to the limit... and all with such a refreshing lack of confusing verbiage. OK - I was dreaming there for a moment, but one company we have seen emerge from the ground up in just a few short years to challenge the top advisory firms is Avasant. And most of this is credited to one man and the team he has built since he left Gartner, where he led the firm's sourcing practice: Kevin Parikh. Phil Fersht, CEO, HfS Research: Good afternoon, Kevin - thank you very much for your time today. You've been quietly empire-building in the advisory space for a few years now - I think I first met you about seven years ago when you'd just left Gartner to set up your own shop. Please share with our readers a little bit about your background, how you got into this space and the journey you are on today. 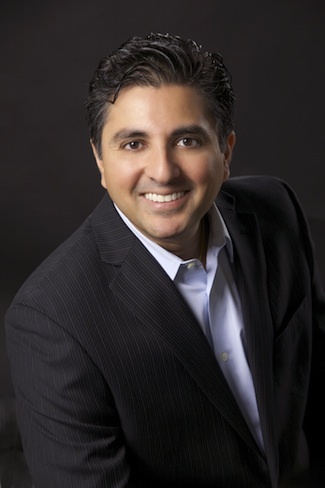 Kevin Parikh, CEO and Senior Partner, Avasant: Yes, we have known each other for several years now. I started my career as an attorney in Washington, D.C., during the Clinton years. I was in the Clinton administration with the United States Environmental Protection Agency. This is pre-Y2K, pre-IT outsourcing transactions, and in many cases, it was just the beginning of when the advisory space really started. After the EPA, I moved to KPMG to join their LLP assurance practice, continuing my focus on contractual and litigation work that I had performed while at the EPA. During the 1990s, I became increasingly engaged in KPMG consulting activities, including reviews of some of the very first outsourcing transactions. I found myself sitting on panels with John Halvey and Bob Zaylor debating service levels and metrics in some of the early outsourcing contracts. As KPMG became BearingPoint, I joined Gartner to help lead their strategic sourcing practice, which at that time was under a million dollars in revenue. When I left Gartner, I was the global sourcing lead and the Gartner practice was a hundred million in revenue across consulting and research services. With these experiences I founded Avasant and brought many of the key leaders and experts in the field into our firm. Phil: So tell us a bit about Avasant - you seem to be very active in the outsourcing space, in particular. But are you a traditional outsourcing advisor or do you have special focus areas that separate you from the traditional advisory players? Kevin: We definitely have the traditional outsourcing advisory business as part of our service suite, but that certainly does not define us. What we are seeing is somewhat of a race to the bottom, or lowest cost, with outsourcing advisory. And when we say, “established players” or “historic players,” what we are really talking about are the folks who come from the early IT service provider deals such as with EDS, IBM etc. These types of transactions were historically very large, and they were focused primarily on IT infrastructure and applications services. Today’s deals are driving very complex business strategies, and they are focusing on Cloud. They are focusing on the Digital Enterprise. In that sense, I believe we are quite different than our traditional competition because while Avasant is focusing on larger and more strategic relationships with our clients, we see our competitors focusing on smaller and smaller deals. And what do I mean by that? Well, that’s the race to the bottom I referred to. If you know how to do a certain kind of deal, and you have been doing it for 20 years, it is difficult to stop doing that kind of transaction. And you have hired people that know how to this work, and you have got a lot of investment. But the commoditization of the standard IT infrastructure outsourcing—and more so now with Cloud services layering on top—that commoditization is forcing deals to get smaller. Actually, at Avasant, we see the opposite. We are involved at a strategic level with our clients, so Avasant’s deals tend to be larger focusing on business drivers. They are bigger because we are focusing on transformational deals that do not only underscore technology, but also focus on e-commerce, the digital enterprise and technology enablement. I’m very excited about our business today because we are nimble, and we are able to focus on large, not small, transactions. We really do not want to be the “McDonalds” of transaction providers because that business is going away. As we look at where we are growing, we are growing in two primary areas; I’ll give you the first take on this one. First, we will soon be announcing our digital strategy practice—Avasant Digital—and folks have been asking about it because of all the things we have been doing in this space. We have been waiting to announce this practice until we had a few really good client relationships that we could build on, and of course, a more defined practice. But that is going to be announced in the coming month. The second area of growth is our globalization practice, which many are very familiar with. Although this does not comprise a large portion of our revenue, it is different and none of the other established players have this kind of a practice. Today we have 29 national governments that are Avasant customers. They hire us to establish a BPO strategy in their emerging market to attract service providers and buyers to those regions, attracting foreign directive investment and jobs, and we advise them. We compete with different types of firms in this space. But this is a strategic opportunity for us; we have been doing it for many years. We have a relationship with the World Bank as a result of this, as well as the Inter-American Development Bank and United States Trade Development Agency. And our focus is really broader than just sourcing. We think that by focusing on the emerging markets, we are creating a more diverse opportunity set for our clients than maybe just outsourcing to India. The third separation is this: Avasant launched a foundation in 2012 called the “Avasant Foundation.” This came about from the Rockefeller Foundation, which provided Avasant a grant to analyze “Impact Sourcing,” which is essentially the outsourcing of services to rural communities and emerging markets. This is regarding certain defined levels of poverty and socio-economically disadvantaged people, and the goal is getting them into the global economy. That study spawned a foundation, and that foundation now works very closely with several service providers as well as the nonprofit space to help build opportunities in those communities. We are very excited about that. It is obviously not part of our commercial business; it is a separate company. Avasant also maintains a separate law firm, Avasant Law Incorporated in Washington DC, to support our transactional work and sourcing. These are some of the differences in how we view the market, why we are expanding into the digital space and continuing to work with emerging markets in addition to sourcing, which is our primary focus. Phil: When you talk about digital, isn’t that really CMO-led engagements in areas like social, mobile and analytics? Kevin: It can be, yes. Increasingly chief marketing officers are leading these engagements. But what we are finding is that the smart CIO is not getting left behind. In many cases, the CIO is actually leading and taking these “digital” opportunities to the CMO and saying, “Hey, have you thought about this? Did you know that we could develop a platform on Amazon?” Or, “Did you know we could have the eBay GSI commerce store?” These are the kinds of services that CIOs, historically Avasant’s clients, are struggling with today; they need a lot of guidance to stay relevant. But the buyers are the chief marketing officers and chief strategy officers; we even have a few COOs. Stay tuned for Part 2, where we discuss the democratization of sourcing and the new levers enterprises can pull in their relentless quest to find new productivity... and the impact this is all going to have on the labor force of the future.